Keep your devices charged up and save. The PowerWave wireless charging stand is $37Remove non-product link, down from a list price of $50. This stand charges up your phone quickly and keeps it propped up so you can see the screen on a desk or nightstand. It'll work with an Qi-enabled phone, and will even support fast charged for the iPhone XS (7.5W) and Galaxy S9 (10W). Its non-slip surface will keep your phone from slipping as vibrating notifications come in while an internal cooling fan will keep things cool. This stand currently holds the top spot in our best wireless charger roundup. The PowerPort II USB wall charger is $11.89Remove non-product link, down from a list price of $17. It comes with a pair of USB ports to simultaneously charge two devices at once. A foldable design makes it easy to transport, while an LED indicator helps you see charging status at a glance and Anker's PowerIQ technology also helps fine-tune charging to individual device needs. This charger has 4.6 stars out of 5 on Amazon over more than 1,000 user reviews. Finally, the PowerCore+ portable charger is $60 todayRemove non-product link, down from a list price of $87. This 26800mAh battery can charge an iPhone up to 10 times, with fast charging speeds up to 4x the speed of standard 1A chargers. 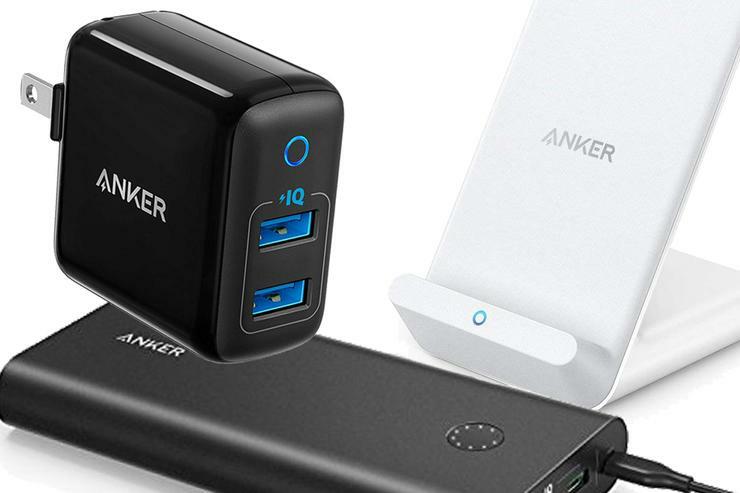 We liked this charger so much we named it as the best USB-C power bank in our roundup.